Israel will regret its attack against Syria, a top Iranian official has warned during a visit to Damascus. The remarks come as Israel is reportedly planning to set up a buffer zone along its border with Syria to guard against Islamist fighters. The results of the attack would be bad for Israel, like those suffered during previous conflicts initiated by Tel Aviv, such as the 34-day war with Lebanese militant group Hezbollah in 2006, said Saeed Jalili, head of Iran’s National Security Council. "Today, too, both the people and the government of Syria are serious regarding the issue. 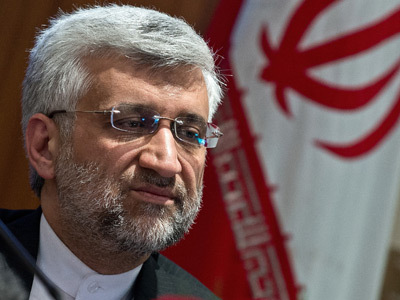 And also the Islamic community is supporting Syria," Reuters quoted Jalili as saying. The remarks came on Monday shortly after similar statements by Syria. Top Syrian officials, including President Bashar Assad, warned earlier that the Wednesday airstrike on a military research center in Jamraya, outside Damascus, would not go unanswered. The Israeli attack drew criticism not only from Syria’s key regional ally Iran, but also from its adversary Turkey. In a comment on the airstrike, Turkish Prime Minister Recep Tayyip Erdogan said on Sunday that "Israel has a mentality of waging state terrorism. Right now, there is no telling what it might do and where it might do it." Though diplomatic threats against Israel are mounting, the country is apparently more concerned with the danger posed by militants on the ground. The Jewish state is reportedly planning to create a buffer zone inside Syria along the countries' shared border. The zone will be established with the help of local residents, and will curb the actions of international Islamist militants fighting in Syria and other hostile elements, British newspaper The Sunday Times reported. The plan has been presented for consideration to Prime Minister Benjamin Netanyahu, the report said. The buffer zone would operate in conjunction with a border wall currently under construction in the Israeli-occupied Golan Heights, and is needed to prevent mortar and rocket attacks on Israel, the newspaper reported. “A buffer zone set up with the co-operation of local villagers lies at the heart of the plan. If the country remains unstable we might have to stay there for years,” The Times quoted a military planner as saying. The need for increased border security came after President Assad lost control of Syria; he can no longer ensure that the truce with Israel is maintained on the ground. “We know that today on the other side of the border with Syria the Syrian army has moved away, and in its place global jihad elements have moved in,” the newspaper quoted Netanyahu as saying. 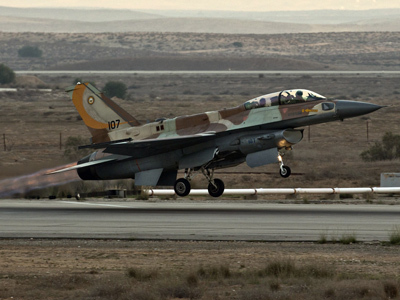 The incident that sparked tensions between Israel and its neighbors took place on Wednesday, when Israeli jets allegedly crossed into Syrian airspace from Lebanon, flying under the radar and delivering a strike in the Damascus suburbs. Syria later released footage showing damaged vehicles and a scorched building, which it claimed was the aftermath of the attack. 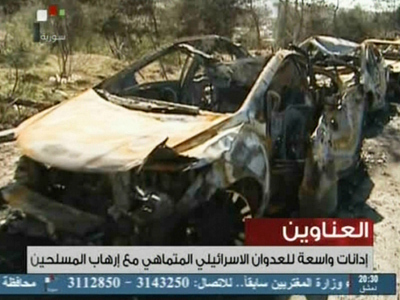 The bombing reportedly targeted surface-to-air missiles that Syria wanted to deliver to its ally Hezbollah in Lebanon. 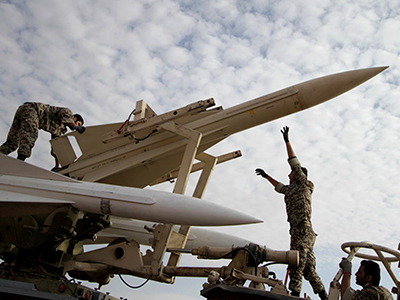 The advanced Russian-made SA-17 missiles would allow Hezbollah militants to attack Israeli aircraft entering Lebanese airspace. Damascus denied the allegations that it was planning to transport weapons to its neighbor. As a direct response to the strike, the Syrian military reportedly deployed on Thursday at least four Scud-type ballistic missiles targeting Israeli territory. Damascus was contemplating a strike against a research center near Tel Aviv, much like Israel did with its jets, Lebanese newspaper Al Diyar reported. Syrian officials did not confirm the report. Each missile can carry a payload of up to 500 kilograms, and is reportedly capable of being armed with chemical weapons. However, Damascus refrained from escalating tensions after Moscow urged it to avoid a major confrontation with Israel, the newspaper claimed.